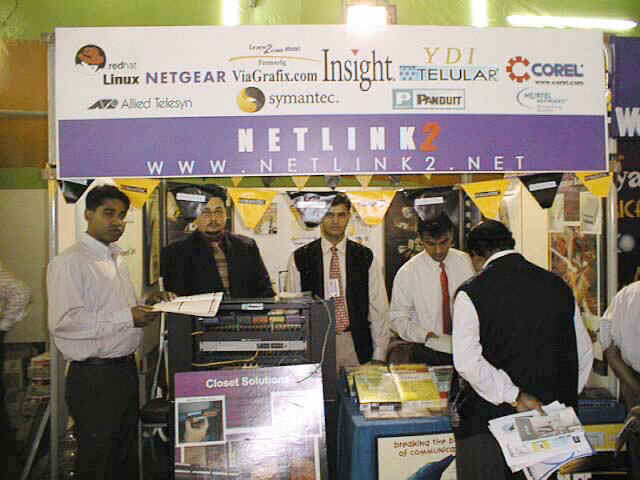 2001 Netlink2 takes part in the ' US Trade Show ' many come to know about structured cabling and Legal sale of software . Displays products for YDI US based company pioneer in Campus Internet LAN . Representing SYMANTEC laying the foundation of legal antivirus software .. Secures deals with two leading Telcom providers later .Sheba telecom and Akatel and ISD School . 2002 Netlink2 enjoys another year of prosperity . Take part in the US trade show . Focus on developing standards in cabling for corporations that have to invest in IT infrastructure to sustain the their business . Netlink2 adds Vero President to its Distributor list: Joe Roddricks from Bombay office visited Bangladesh for survey and market plan with Netlink2. Vero and Netlink2 hope to launch at a local hotel in the coming months . Netlink2 opens office in Singapore : Now Netlink2 starts a new venture in Singapore as a expansion . Mr. Francis a Singaporean businessman shall be looking after operations in Singapore for Netlink2 interest. Netlink2 will be able to offer fast supplies and delivers to all its clients all over the world . Netlink2 gets its first international taste . 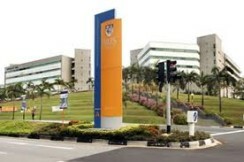 Invited to submit for international tender Singapore NTU oldest university internationally acclaimed with Nobel laureates heading its faculty . Unfortunate ly Bangladesh was not members for international tender forum , so Netlink2 declined . It was accelerating experience getting to this level . Netlink2 would be working with local and contractors and also team of technician from Bangladesh . 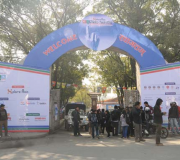 2006 Netlink2 takes part at the Bhutan Trade Fare . The only Bangladeshi IT company to take this step . Trying to create a global market was our vision . A growing market and also computer awareness cultured society . Air port and beautiful sites another country with clean AIR !